The modern wine wall is here. 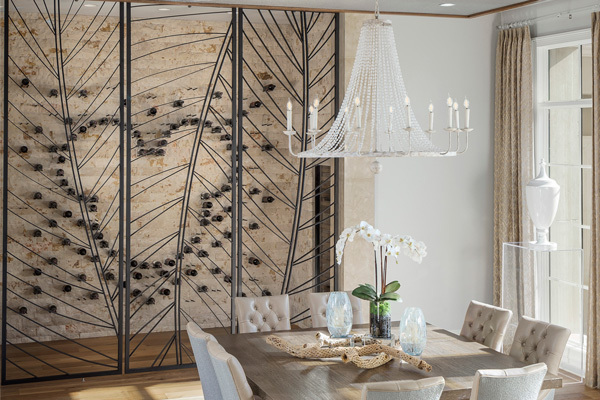 DIYers and designers throughout the country are cutting out small, medium, and large spaces on walls in prominent home living areas to install beautiful wine walls that are equal parts form and function. 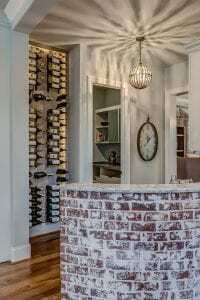 Here’s what you need to know to design a dream wine wall in your home. 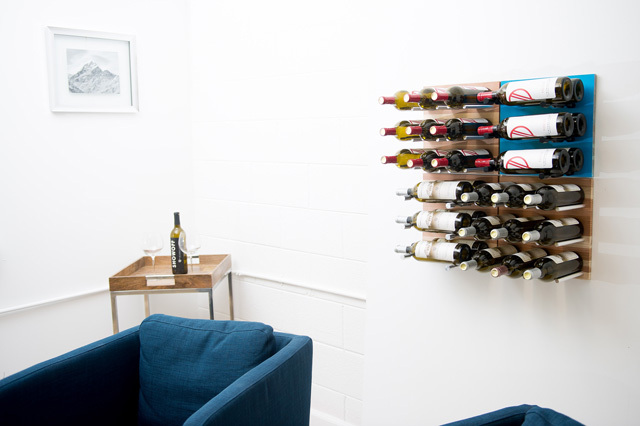 There are so many walls that would be great for a wine rack or 10. 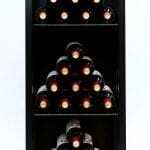 The modern trend of wine walls has racking being added to living rooms, basement wet bars, kitchens, and so much more. When deciding where to put the display consider things such accessibility (do you want easy access when you are cooking or would it be more convenient next to the pool table downstairs), the size of storage space needed for the wine collection (you don’t want a wall that’s too empty or too full), and areas that need a little more interesting design for your tastes. This might simply be dictated by the style of the room. Is it a warm, woody dining area or a contemporary wide-open kitchen to entertaining room? The great interior designers know how to blend styles (old in new, metal and wood). If you are not so confident, consider just matching the existing color schemes and materials. 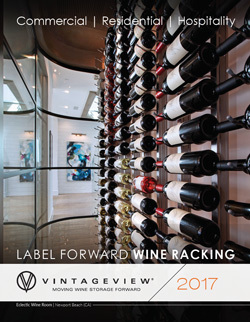 Wine racks come in all different flavors regardless if you are looking for something to blend or provide a little accent. 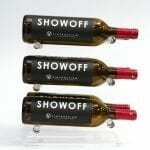 There are metal wine racks, acrylic wine racks, wood wine racks, metal and wood wine racks, acrylic and metal wine racks. You get the picture. There’s a rack for every design style, from traditional to transitional and modern. 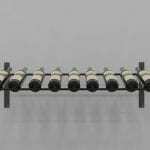 This sounds like a basic step, but if you don’t measure the space for your wine wall, you’ll have a hard time figuring out what type of wine racking and how many bottles will be able to fit there. We recommend drawing the wall on graphing paper (to scale!) so you can map out a few options to get an idea with how you want the project to turn out. Make sure to get accurate measurements. Remember the old adage: Measure twice, cut once. The same theory applies when you are drilling holes for drywall anchors in your living room wall. Wine can spoil in direct sunlight in 30 minutes or less. Heat is bad too. So make sure you have a firm understanding of how to properly plan for a passive wine storage space — and what you can expect to be able to store safely. There’s a chance the ideal location for you doesn’t mesh with what’s good for your wines. Glass enclosed wine walls with proper cooling are a great option. 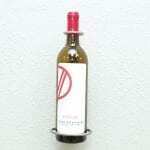 Many wine racks will come complete with all the needed hardware, but make sure you know what surface your are drilling into so you can confirm that you have the proper mounts (drywall, wood, concrete). There’s nothing worse than getting ready to start a DIY wine wall project to find out that you need to run to the hardware store to get a different wall anchor type. How do most of us find inspiration for our DIY projects? Houzz, Instagram, Pintrest. You’re going to build a beautiful wine wall, make sure to share your experience to help the wine lover across the street or a few states over. Cheers! And if you are ready to get going on your project, let us know! We offer complimentary digital design, cellar consultation, and other services.